Weight Loss Dietitian Blog: Meal Planning & Diets->"Plan, Shop, Prep, and Cook"
Remember after Thanksgiving, how convenient it is to have turkey leftovers all ready to make quick soups (turkey rice soup) and casseroles (turkey tetrazzini)? Use this same concept to make evening meal preparation quick and easy by following these three steps. Same old, same old? Are you in a cooking rut? Try this fundamental system to help you attempt new recipes and make faster and healthier meals. 15 March 2016 How do you rate with your home kitchen safety? Are you taking the time to practice food safety in your home or are you putting your loved ones and yourself at unnecessary risk of foodborne illness. Why not pretend you are a food safety inspector and make a safety check of your home kitchen. Yes, home cooked meals are usually healthier than restaurant and prepared meals. Looking for tips to successfully prepare healthy foods at home? Find out how to equip yourself with kitchen tools and learn about key staples for the pantry, refrigerator and freezer. Learn how to make food tasty and adventurous, and hear about simple menu planning tips. In 2005-08, Americans consumed 32 percent of calories away from home. This is up from 18 percent in 1997-98. There are many reasons individuals obtain their food and drink away from home, including convenience and saving time. Find out why this might be a problem for our health and learn 10 tips for successfully cooking healthy meals at home. 24 July 2015 How is BIG working out for you? Yes, we are the nation of abundance characterized by big houses, big cars, big trucks, big motorhomes, big televisions, big couches, big farms, big tractors, and big wigs with big money. We also have big burgers, big fries, big steaks, big drinks, big muffins, big candy bars, big potatoes, big melons, big apples, big plates, big bowls…and yes, big people. In many instances, bigger can be better, but in the nutrition world, it often creates a BIG problem. Strategies to downsize your portions are essential for weight management while surrounded by big food. Bring out the big tools in the kitchen that will help you save the day, get healthy, and lose weight! 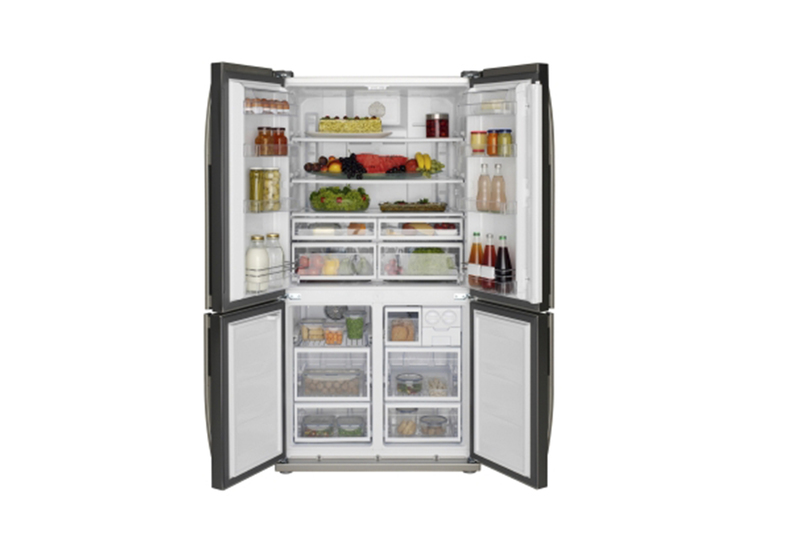 Diets are easily sabotaged when tempting high calorie food is within easy reach in the refrigerator or pantry. Here are 10 foods to toss. 13 February 2014 Food-vertising - Is There Honesty in Marketing Foods? Do you know just how much exposure your kids have to food ads? Do you know how "unhealthy" those ads are? Find out more here. 8 October 2013 Healthy Eating on a Budget: Is It Possible? Even though the students concluded that healthy eating on a budget is possible, a lifestyle change and planning are required. Enjoy these joint tips on how to plan and shop smart within each of the five food groups! 21 May 2013 Supermarket Dietitians - Providing Nutrition Information Where It Counts! Did you know that many supermarket chain stores now offer free individual nutrition consultations, nutrition talks, and even diabetes education with a registered dietitian? There really is a healthy dollar menu out there. Check out our 10 suggestions for cheap, healthy foods! 23 October 2012 What Form is Your Fruit & Veggies? 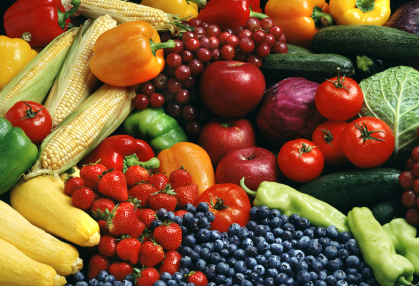 Did you know that there are over 200 varieties of fruits and vegetables? This means a ton of options for flavor and texture! And the best part is that we have the ability to purchase them in many forms — fresh, frozen, canned and dried. Each type has its share of benefits in terms of access, nutrition and cost. Here's what you need to know about fresh, frozen, canned and dried fruit and vegetable options and how each type fits into a healthy diet full of variety.